I’ve just finished listening to Ian Carmichael reading Dorothy L Sayers’ Busman’s Honeymoon, the last of the Lord Peter Wimsey books. 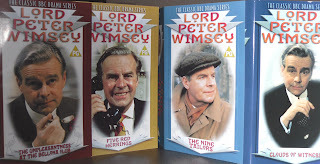 This post isn’t really about the book or Sayers or Wimsey, but about the delights of audio books. The book is wonderful, the culmination of the relationship between Lord Peter Wimsey & Harriet Vane, the woman he saved from the hangman in Strong Poison & pursued for five years until they finally came together in an equal, loving relationship at the end of Gaudy Night. Busman’s Honeymoon is really one for the Wimsey fans though. It’s been described as a love story with detective interruptions which pretty much sums it up. The book begins with Peter & Harriet’s wedding & takes them on their honeymoon to Tallboys, a Tudor farmhouse in the village where Harriet grew up. The bliss of the honeymoon is disturbed by the discovery of the body of the former owner in the cellar & the Wimseys investigate. There’s a wonderful cast of eccentric villagers, from Mr Puffett the chimneysweep to Miss Twitterton, the victim’s niece, a spinster who keeps Buff Orpington hens. I’ve read the book probably half a dozen times & listened to the audio book at least as often. My library had all the Wimsey books read by Ian Carmichael on cassette & recently they’ve been released on CD so I’m taking the chance to listen to them again. To me, Ian Carmichael is Peter Wimsey. Whenever I read the books, I hear his voice. 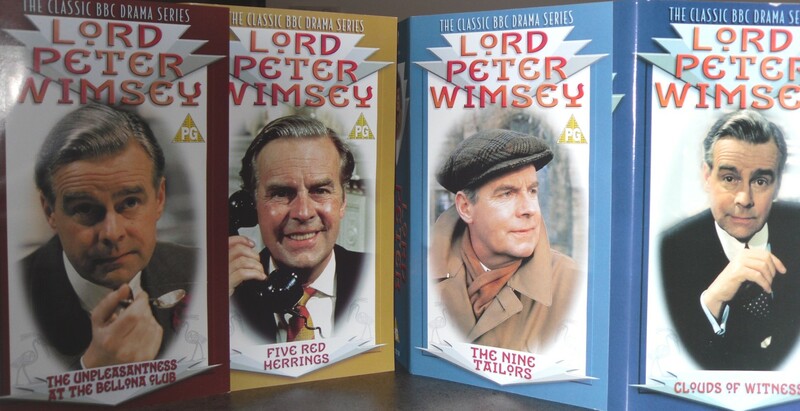 He played Wimsey on television in the early 70s & you can see a photo of my old video copies of some of the series above. That series didn’t include any of the Harriet Vane books & in the 80s, Edward Petherbridge & Harriet Walter starred in a new TV series of Strong Poison, Have His Carcase & Gaudy Night, all excellent adaptations. Ian Carmichael died at the great age of 90 earlier this year & I was interested to read that he had also played Bertie Wooster on TV in the 60s. As a recent Wodehouse convert, I think he would have been perfect in the role. I’ve ended up writing about the book after all but it’s the fortunate combination of book & narrator that I really want to emphasize. 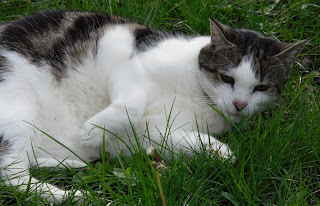 Elaine’s post at Random Jottings about the delights of listening to Richard Armitage reading Georgette Heyer led me to reflect on my own love of audio books. I always listen to an audio book in the car on my daily drive to work. My library has a great collection of unabridged audio books & I look forward to each new delivery. Abridged vs unabridged is another point. I prefer unabridged recordings because I wouldn’t want to read an abridged version of a book so why listen to only part of the book? I’m lucky to have had access to a wide collection of unabridged audio as I certainly couldn’t afford to buy them. I also enjoy radio productions. The BBC have done hundreds of full-cast recordings of classics, Shakespeare, fiction, mysteries, anything you could think of. But, I mostly listen to unabridged audio books read by one narrator. Some of my favourite listening experiences have been Harriet Walter reading Olivia Manning’s Balkan Trilogy, Gwen Watford reading some of the Miss Read books, Christian Rodska reading the C J Sansom Shardlake mysteries, Cornelius Garrett reading Anne Perry’s WWI series (I loved his reading so much that I would wait for the audio book to come out rather than reading the book), Bill Wallis’s gruff, smoky voice reading the Ruth Dudley Edwards mysteries, Samuel West reading Mary Wesley & Iris Murdoch, Robert Glenister reading The Fall by Simon Mawer. My absolute favourites though are the Barbara Pym recordings done by Chivers Audio many years ago. I listened to the cassettes until they were nearly worn out & I do hope they release them on CD as part of their current program of Bestsellers on CD. Juliet Stevenson reading Excellent Women, Susan Jameson reading A Glass of Blessings & Julia McKenzie reading Some Tame Gazelle were my favourites. I still hear their voices when I reread the books. Of course, not every listening experience is a stand-out. There are some narrators I avoid like the plague because their reading is so dull it puts me to sleep. Not a good idea when driving! Audio books are another way of reading for me. I never have enough reading time but at least I can have a book read to me when I’m driving, ironing or cooking. Now if I could only work out a way to read in my sleep, I might have a chance at getting through my tbr shelves before my 100th birthday. Why are the Mitford sisters so fascinating? Having just read Decca’s letters, I would have to say I’m still not sure but I know I’m still enthralled. I think it’s partly the whole aristocratic English family fascination plus the way the sisters manage to cover the entire spectrum of political opinions from High Tory to Fascist to Communist plus the eternal interest in family dynamics. I read Charlotte Mosley’s collection of the letters of all six sisters a couple of years ago & I loved it. The relationships & shifting allegiances between the sisters was so interesting. Once I got my head around the many different nicknames they had for each other, I found it read like fiction, a wonderful family saga, often with multiple perspectives on the same incident from several sisters. Reading the letters of one person isn’t quite the same as the reader only has Decca’s viewpoint but often the same incident is relayed in slightly different ways to different correspondents which can throw a new light on it. Reading letters is a subjective experience, much more so than reading autobiography or a diary. Even if the writer is writing for posterity (& I think it’s harder to do this with letters than with a diary), once the letter is sent, it can’t be altered, it can’t be tidied up the way autobiography or even a diary can be. 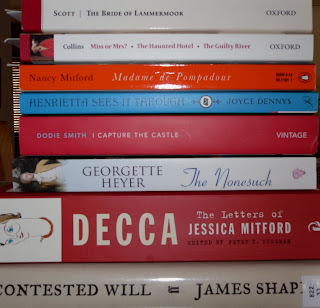 Jessica Mitford (known as Decca) was the second youngest of the siblings. Her five sisters, Nancy, Pamela, Diana, Unity & Deborah & brother Tom, were the children of Lord & Lady Redesdale. Anyone who has read Nancy’s wonderful novels, Love in a Cold Climate & The Pursuit of Love, has met the Redesdales already in only slightly exaggerated form. Nancy became a novelist; Pamela was the least public of the sisters, living a quiet country life; Diana famously married Sir Oswald Mosley & was imprisoned with him during WWII as a result of their Fascist sympathies; Unity was devoted to Hitler & tried to commit suicide on the outbreak of war; Tom was killed in WWII & Deborah married the Duke of Devonshire. Jessica was always a rebel. She resented her lack of education intensely & virtually educated herself after her attempts to go to school failed. Her parents just didn’t see the point in educating girls. She ran away & married her cousin, Esmond Romilly, in the mid 1930s. They went to Spain during the Civil War but ended up living in the US. Esmond went to Canada to join the armed forces & was shot down over the North Sea in 1941. Decca stayed on in the States & married radical lawyer Bob Treuhaft. Her public life was one of fighting for causes she believed in passionately – civil rights especially - & she was a member of the Communist Party for 10 years. She was subpoenaed to appear before the Un-American Activities Committee in the 1950s, a fact that appeared on her CV under “Honours, Awards & Prizes” as something of which she was especially proud. She was a journalist whose book on the funeral industry in the US, The American Way of Death, broke taboos & exposed the rorts of the funeral industry. She was a memoirist whose book on her early life, Hons & Rebels, contributed as much to the Mitford legend as Nancy’s novels. Decca had little contact with her family for years after she moved to the States but gradually she picked up the threads of her relationship with her mother & then her sisters. Her relationship with Diana never recovered from their political differences & she had famous spats with Nancy & Debo as well. But, she visited England more frequently as she grew older & re-established contact with other friends & her wider family. Decca kept on muckraking (she was proud to be given the title Queen of the Muckrakers by Time magazine), campaigning for the rights of others & disputing with her sisters until the end of her life. Decca also writes very movingly of Nancy’s slow, painful death & her own feeling of helplessness at being unable to do anything to relieve her. Nancy lived in Paris for much of her life & the sisters took turns staying with her in her final months. Decca was unsurprised that Nancy’s characteristic waspishness hadn’t been mellowed by her illness & that she could still be demanding & impatient about the way Decca arranged roses from the garden. I loved reading Decca’s letters. I’m so pleased that I have several more volumes of Mitfordiana to read. I have two volumes of Nancy’s letters on the way from The Book Depository, Love from Nancy edited by Charlotte Mosley & Nancy’s correspondence with Evelyn Waugh (when they’re back in stock); Debo’s correspondence with Patrick Leigh Fermor, In Tearing Haste, is on the tbr shelves along with Nancy’s novels, Wigs on the Green & Highland Fling & Laura Thompson’s biography of Nancy, Life in a Cold Climate. I also feel I must read Evelyn Waugh’s The Loved One as it’s a companion piece to Decca’s The American Way of Death & Simon at Stuck In A Book has just read & enjoyed it. I haven’t read nearly enough Waugh either. Just as well I prefer reading to just about anything else as I have so much of it to do. I thought I might have missed the boat with Dodie Smith’s I Capture the Castle. It seems to be a book that readers, especially young women, read in their teens. I’d never heard of it until I saw the movie a few years ago. Cassandra Mortmain, the narrator of the book, is 17 when the story begins. But, from the famous opening line, “I write this sitting in the kitchen sink.” it was hard not to be beguiled by Cassandra’s voice & by her eccentric family. “It may interest you both to know that for some time now, I’ve been considering selling myself. If necessary, I shall go on the streets.” I told her she couldn’t go on the streets in the depths of Suffolk. The arrival of Simon Cotton, the rich American who has inherited Scoatney Hall, the nearby stately home, changes the lives of the Mortmains. Rose decides to marry Simon as the culmination of her plan to marry a rich man, whether she loves him or not. Her plans seemed doomed to failure after the first visit to the castle of Simon & his brother Neil, when Rose acts like a blatant fortune hunter & the Cottons drop the family very quickly. After a few more meetings, however, Simon is smitten & he proposes to Rose. Their engagement is a turning point in the family’s fortunes as Simon’s money seems to make all things possible. But is Rose really in love or just being as mercenary as she always planned to be? Cassandra looks on with a growing sense of doom as she tries to find out Rose’s true feelings & has to cope with her own emotions as she falls in love for the first time. The outstanding thing about I Capture the Castle is the way the story is told. The basic plot has been told many times before. Cassandra’s narrative voice is the difference between a pretty standard romantic novel & a funny, fast-paced book that made me laugh out loud at the way Cassandra looks at her world. The Mortmains could have been stereotypes of eccentricity but they’re more than that. I especially liked Topaz, a kind woman who loves her husband but finds his withdrawal from her bewildering. She’s not just a flighty model who wafts around in eccentric clothes (or none at all when she decides to commune with nature). She works hard to keep the family afloat as Cassandra discovers when Topaz & Rose are whisked off to London by the Cottons & Cassandra has to look after her father & brother at home. Topaz is as bewildered as the rest of the family but believes that her husband is a genius & it’s her job to support him until he produces another masterpiece of modern fiction. The Cottons’ car came, with a uniformed chauffeur, and out we sailed. I was harrowed at leaving Stephen and Thomas behind, but Topaz had arranged they should have a supper with consoling sausages. Those “consoling sausages”, what a wonderful image they conjure up of warmth & comfort. There was a fat woman who wanted the stationmaster to let his dog off its chain, but he was afraid it might bite the Cottons rather than the bear. I opened my mouth to make them understand that there wasn’t any bear – and then I saw something white in the distance... And suddenly Neil Cotton walked into the light, carrying Rose, in her white suit. It’s so absurd but just demonstrates the truth of the cliché that people see what they’ve been told or what they expect to see, no matter how unlikely. I loved all the details of how the Mortmains contrive to live, mending & making do on their virtually non-existent income until the fairytale of Rose’s engagement ends the scrimping. Then, Cassandra discovers that money isn’t a guarantee of happiness & the tome becomes almost tragic as she struggles with her feelings & tries to find out how Rose really feels about Simon. It’s a totally involving story & I’m so glad that Cornflower chose I Capture the Castle for her Book Group. It prompted me to get it down from the tbr shelves &read this 20th century classic. A copy of this book is available from Anglophile Books. 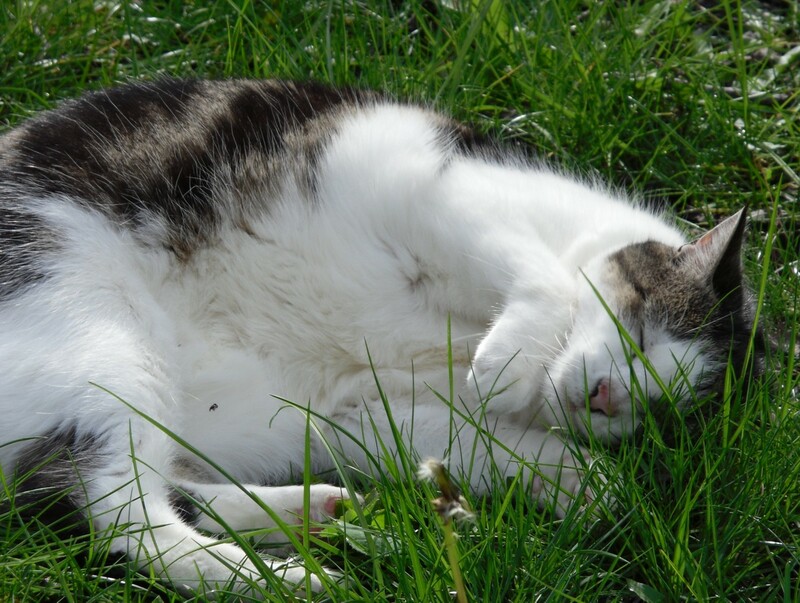 Lovely sunny morning & Abby was in the garden feeling all the joys of spring. Not long after I took these photos (& put out some washing) black clouds appeared & we had a shower but nothing too drastic. Just typical spring weather. Abby was actually licking the grass, which is better than eating it, I suppose, which just leads to her throwing up the grass later on the only square of carpet in the house. It's Election Day in Australia & I was out early this morning voting & doing a little shopping. Abby & I will be glued to the telly tonight watching the ABC's election coverage. It looks like a tight result so it could be a late night. Chocolate & pots of tea will help us through it. 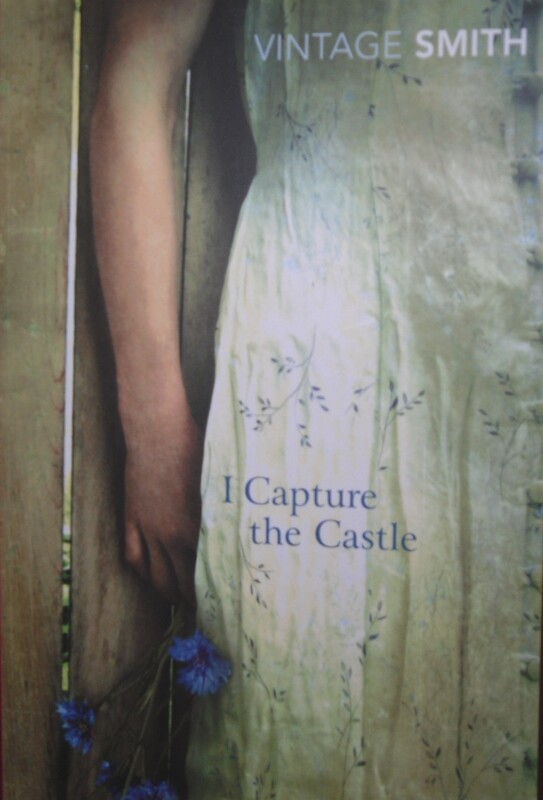 I finished reading I Capture the Castle during the week. I wasn't too old for it after all & I'll post my review tomorrow. 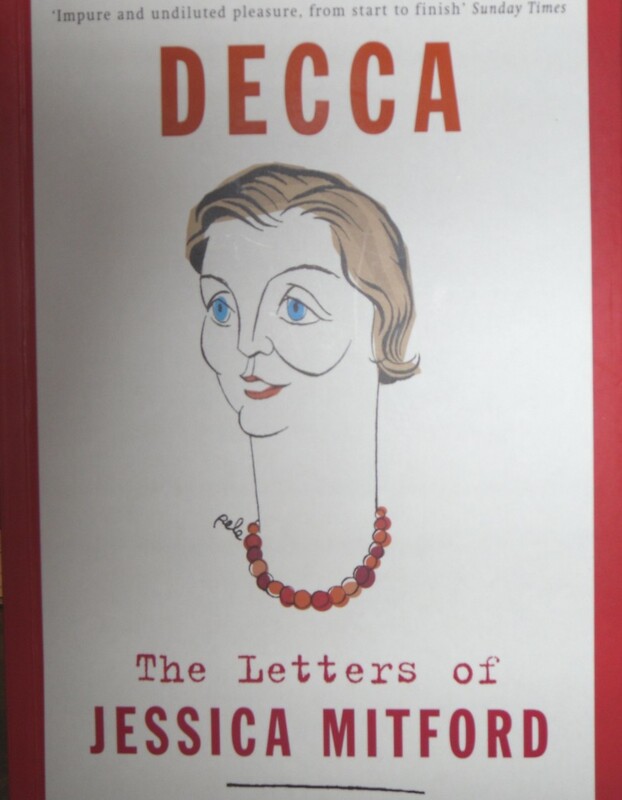 I've started reading Decca : the Letters of Jessica Mitford which I'm enjoying very much. The only problem is that it's a heavy book & my neck & wrists can't hold it up for long periods. If I could rest it on my lap this wouldn't be a problem but Abby has other ideas about what laps are for (she's just come into the study & jumped up on my lap now to remind me). So, when Decca becomes too heavy, I swap over to Death of an Expert Witness by P D James which I'm rereading after many years in honour of P D James's 90th birthday. Sophie Apperly is young, attractive, practical, domestic & totally unappreciated by her academic family. They exploit her good nature & her domestic skills while despising her for not going to university. When her family decide that Sophie is the perfect person to look after elderly, rich Uncle Eric, known in the family as “Evil Uncle Eric”, Sophie decides she’s had enough. When her friend, Milly, invites her to New York for a holiday, Sophie decides to go. Sophie’s stay with Uncle Eric, who turns out to be a sweetie, also leads to the discovery that the family have been sitting on oil drilling rights that could be worth some money. Eric’s last address for one of these relatives was New York, so Sophie also has the incentive of searching for her in the hope of pooling all the drilling shares & finding a developer interested in buying them. In New York, Sophie is determined to enjoy herself & at an opening at the art gallery where Milly works, she meets Matilda Winchester. Matilda is wealthy, elderly & a very determined character. She & Sophie hit if off immediately. Matilda also has a very protective grandson, Luke, a handsome attorney. Luke is horrified when he discovers that Matilda has invited Sophie to the family home in Connecticut for Thanksgiving. He sees Sophie, in her charity shop chic, as a gold digger who will exploit his grandmother’s kindness. The Thanksgiving weekend is a glimpse at a life of pure luxury for Sophie & she thoroughly enjoys seeing how the other half lives. She & Luke have a spiky relationship, based on his suspicion of Sophie’s motives & her indignation that he could doubt her intentions. This is a romance, so there’s not much doubt how their relationship will end, but it’s a lot of fun seeing how this couple’s pride & prejudice will be overcome. Matilda was born in Britain & wants Sophie to find an old house in Cornwall where she stayed as a child. She agrees to go on this wild goose chase while Luke agrees to help her track down her American relative & consolidate the oil drilling rights. When Luke goes to London on business, he meets Sophie’s family, including Uncle Eric, & he gets a chance to see how impoverished middle class Brits live. Sophie & Luke set off for Cornwall to search for Matilda’s dream house & their relationship develops in some unexpected ways. I’ve enjoyed all Katie Fforde’s novels although I have a great fondness for her early books. I enjoyed the fact that her heroines were older & not stick thin, they had real lives, working hard at unglamorous jobs to make a living. Her heroines still work hard but they’ve gotten younger as the years have passed. 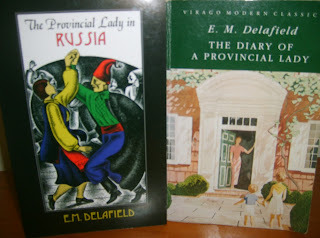 I also loved the covers of her early books. But, I won’t enter the great debate about book cover design. I am glad that her publishers have given up on the stick figure pastel chick lit covers of recent years & moved to a more attractive style for the last few books. 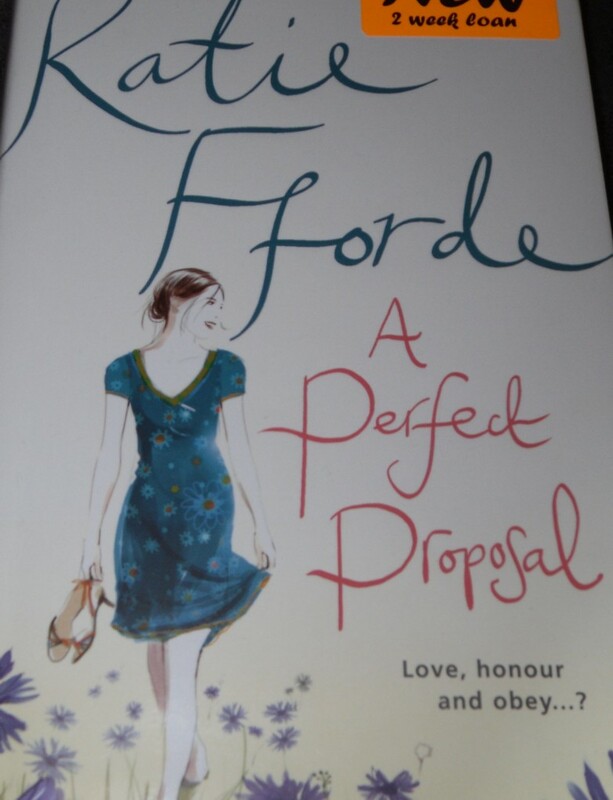 This is a lovely romance, perfect for a winter weekend afternoon''s reading with a pot of tea & some chocolate. By the way, it amuses me to see the quotes on Katie's novels about what a great beach read they are. As they're published mid-year I suppose that makes them perfect for the UK summer. In the middle of a Melbourne winter, it's lovely to know I can look forward to a new Katie Fforde every year. I think Bloomsbury’s idea of reprinting 20th century middlebrow classics recommended by readers is terrific. The first half dozen books were published last year & my favourite was Joyce Dennys’ Henrietta’s War. First published in The Sketch, Henrietta’s War is a series of letters written by Henrietta to her childhood friend, Robert, who’s away fighting. Henrietta tells Robert about life on the Home Front in her village in Devon. She’s a doctor’s wife with two grown up children. The letters are funny, poignant, dramatic & ironic. They paint a picture of middle-class life during WWII. The letters were only collected in book form in the 1980s & it was thanks to the recommendation of Cornflower, who writes one of my favourite blogs, that Henrietta’s War was republished last year. In triangle playing, if you have only three Pings in a whole movement, and each Ping is separated from the next by at least eighty bars, and you aren’t very good at reading music anyway, it is extremely difficult to Come In at the Right Time. The Conductor was sitting with his head in his hands, apparently weeping, by the time we had gone through the movement twice. After that I threw my music on the floor and trusted to Womanly Intuition and Memory. After the Double Bass had played three loud zooming notes I Pinged once; when one of the cellos turned round and gave me a Look, I Pinged a second time; and at the bit where little Mrs Simpkins began playing in flats instead of sharps, I Pinged for the third and last time. This was correct. The Conductor said ‘Good, Triangle!’ and was I proud? Some things haven’t changed. Henrietta & her husband, Charles, go shopping in their Cathedral city & find the traffic appalling & the off-hand service in the shops infuriating. Henrietta’s glamorous friend, Faith, settles down & marries The Conductor. George, a handsome American soldier, brings a touch of glamour to the village & the book ends with a wonderful party to celebrate VE Day. The letters have the charm of the everyday carrying on in a time of war, the stiff upper lip attitude that has become symbolic of the Home Front during WWII. I know not everyone was as patriotic as Henrietta & her friends. Marghanita Laski’s book, To Bed With Grand Music, is an illustration of a more selfish attitude to the war & its opportunities. But, I love reading about the Home Front. I admire the fortitude of the people who lived through such dangerous times & were willing to sacrifice their pleasures for the greater good. Their make-do-and-mend philosophy has a lot to recommend it. Henrietta’s ability to see the funny side of any situation & laugh at herself & her friends make these two books a joy to read & reread. I read several of Sir Walter Scott’s novels as a teenager over 30 years ago. One of them was The Bride of Lammermoor but I didn’t remember very much about it at all. My most vivid memory of the story is a famous photo of Dame Joan Sutherland in the mad scene from Donazetti’s opera, Lucia di Lammermoor which was based on the book. All blood-stained white dress, long hair & staring eyes. So, when my 19th century book group decided to read The Bride as part of our series of books that form the basis of operas & musicals, I was looking forward to reading it again. The Bride of Lammermoor is a story full of omens, myths & doom. It’s the story of a tragic love affair with echoes of several Shakespeare plays, Macbeth, Hamlet, Romeo & Juliet & Othello. The ancient family of Ravenswood has lost everything. The book opens at the funeral of the Laird after he has lost his ancestral home to Sir William Ashton, a nouveau riche politician & wily lawyer. The Laird’s son, Edgar, known as the Master of Ravenswood, vows revenge for his father’s death & his family’s downfall. Edgar is left with only the lonely tower, Wolf’s Crag, as his estate. His few servants are loyal, especially his butler, Caleb Balderstone, who comically goes to extraordinary lengths to save the family’s face & honour. As the master stalks the nearby woods, waiting for his moment to take revenge on Sir William, he’s thwarted by his noble action in saving Ashton & his beautiful daughter, Lucy, from a charging bull. When the last Laird of Ravenswood to Ravenswood shall ride And woo a dead maiden to be his bride, He shall stable his steed in the Kelpie’s flow, And his name shall be lost for evermoe! If this young lady, of her own free will, desires the restoration of this contract, as her letter would seem to imply – there is not a withered leaf which this autumn wind strews on the heath, that is more valueless in my eyes. But I must and will hear the truth from her own mouth – without that satisfaction I will not leave this spot. Murder me by numbers you possibly may; but I am an armed man – I am a desperate man - and I will not die without ample vengeance. This is my resolution, take it as you may. ... Choose if you will have this hall floated with blood, or if you will grant me the decisive interview with my affianced bride, which the laws of God and the country alike entitle me to demand. 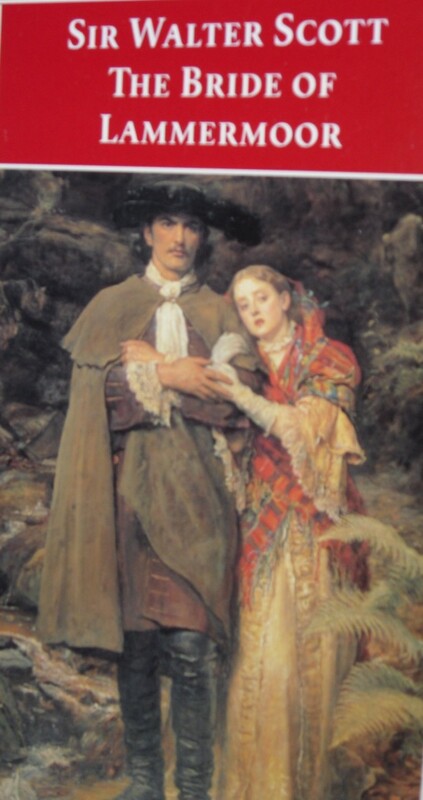 Scott has a reputation for being quite stodgy but The Bride of Lammermoor is an exciting read, full of tragedy & heightened emotions. 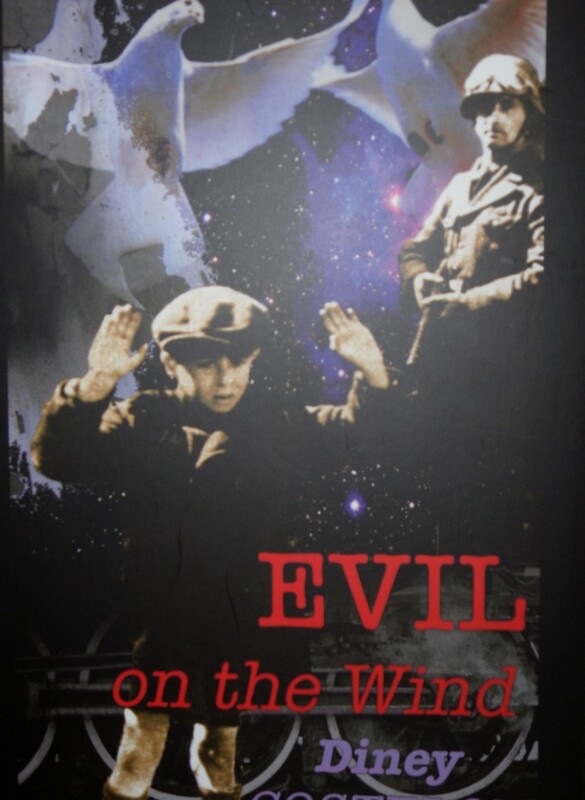 Diney Costeloe is a member of my online book group & she very kindly offered to send me a copy of her latest book, Evil on the Wind. Elaine at Random Jottings had already reviewed it very positively so I was interested to read it. I must admit I don’t read a lot of fiction about WWII apart from books written during that time. Since I discovered Persephone Books & the marvellous books they’ve published about this period, I’ve been reluctant to read anything else. I’ve also read a lot of non-fiction about this period & I’ve come to prefer it. However, I was quickly swept up in the drama of Diney’s book & I read it in virtually one sitting. The Friedmans are a Jewish family living in Germany in the late 30s. The book opens with an anti-Jewish riot in which the Friedman’s shop & home are burnt down & Kurt Friedman is arrested. His wife, Ruth, & their four children escape the mob & begin a harrowing journey & struggle to survive. Ruth goes to Kurt’s brother, Herbert, for help. He’s a wealthy lawyer but he’s horrified when the family turns up on his doorstep &, although he reluctantly allows them to stay, he obviously feels uncomfortable. He decides to emigrate to Argentina but is caught smuggling diamonds out of the country & arrested. His former housekeeper, Frau Schultz had been stealing from him & spying on him & Ruth’s family & she denounced Herbert to the authorities then confiscates his apartment & evicts Ruth & the children. Ruth then goes to her mother in Stuttgart but finds she has been forced to sell the family home & is living in poverty. They decide to go to Ruth’s sister, Edith, in Vienna, & after securing with difficulty the passports needed for the children, they arrive to a frosty reception from well-off Edith. Ruth finds work in a draper’s store, rents a tiny apartment & gets the children into school. All this time, we’re also following Kurt’s journey. He’s sent to Dachau after his arrest &, after enduring deprivation & brutality there, he’s released after he agrees to sell his home & give the proceeds to the government. It’s really no choice at all, of course, but freedom is the important thing & he sets off on a journey that takes him to Munich & Stuttgart (where he finds he’s missed his family), Hamburg, Holland & eventually England, where he works to find sponsors to bring Ruth & the children to safety. This is especially important after the Anschluss in 1938, when Germany annexed Austria & the laws against the Jews were intensified. Ruth’s brother-in-law, David, is shocked when his father is arrested & he takes his family to Shanghai. Ruth loses her job & has to make a terrible choice when there is an opportunity for only two of the children to go on the Kindertransport. This charitable plan saved the lives of hundreds of Jewish children taken to safety in England, but at the cost of separation from their families. The most compelling thing about this novel is the way it depicts the atmosphere of fear & suspicion of the time. I really felt what it would have been like to live in Germany at a time when anti-Jewish laws & propaganda had turned neighbours into potential spies & enemies. The Friedmans are helped by many people on their separate journeys but always with a backward glance at who might be watching them. Some people help them willingly, some grudgingly, & they never know what response they will receive from family, friends or strangers. The persecution of the Jews didn’t begin in 1939 with the outbreak of war. The gradual process of removing the rights of Jews to education, work & private property was insidious but very purposeful. Many people took advantage of the new laws to exploit their neighbours & take their revenge for suspected or real past injuries. But, there were many others who resisted as much as they could to help friends & neighbours who were persecuted because of their race & religion. It’s important that we don’t forget the past & that we’re forever vigilant so that such persecution should never happen again. Evil on the Wind reminds us of the consequences of forgetting the past. So many magazines, not enough time. This is my version of the old saying about books. It’s still reading matter so I feel justified in adapting it to a stressful situation in my reading life. Do you ever feel you have too many magazine subscriptions? Do you feel you belong to too many societies producing too many journals? The photo above shows all the magazines & journals I have sitting on the coffee table, unread. Sometimes the arrival of the next issue prompts me to read the issue before that has been sitting on the table for a month - or, even more shamefully, two months. It’s not that I don’t want to read them but they have to find a moment in my reading time to attract my attention. They’re all on subjects I love, mostly literature or history, & I couldn’t do without them but they have to compete with the current book I’m reading at home as well as the lunchtime book which might become the home book if I’m at an especially interesting spot & the book I might be reading for one of my book groups. The book group choice tends to take precedence at the beginning of the week when I try to read the week’s instalment so I don’t fall behind. Then, when I’m nearing the end of the book group book, I usually can’t wait & rush onwards to the end, forsaking all other books so everything is shoved aside at that point. I don’t think I’ve ever read a book entirely in instalments. I’ve always finished early. I’ve just finished The Bride of Lammermoor two weeks early because I was enjoying it so much I just kept reading. I couldn't have survived in the 19th century when so many books were published in weekly or monthly instalments. What torture! Good Reading - this is an excellent Australian magazine on new books. I've been a subscriber since the beginning. Lots of reviews & interviews. Literary Review - more serious UK equivalent. Reviews mostly non-fiction, some literary & crime fiction. BBC History - Focuses on British history, my great love. Often has feature articles on just published books. Current Archaeology & British Archaeology - Blame the seductive charms of Phil Harding & Mick Aston for my subs to these two. I love Time Team & Phil, Mick & the rest have expanded my love of history into a fascination with archaeology. Although I still have trouble seeing those grave cuts in the soil they keep pointing out, I've read a lot more about archaeology in recent years. Everyday Health - an Australian magazine focusing on dietary intolerances. I have a wheat-free diet & I like reading about new wheat-free products & recipes. Bronte Studies - The pamphlet above this is from the Australian Bronte Association that I belong to. I've always loved the Brontes & I've been a member of the Bronte Society for over 10 years. 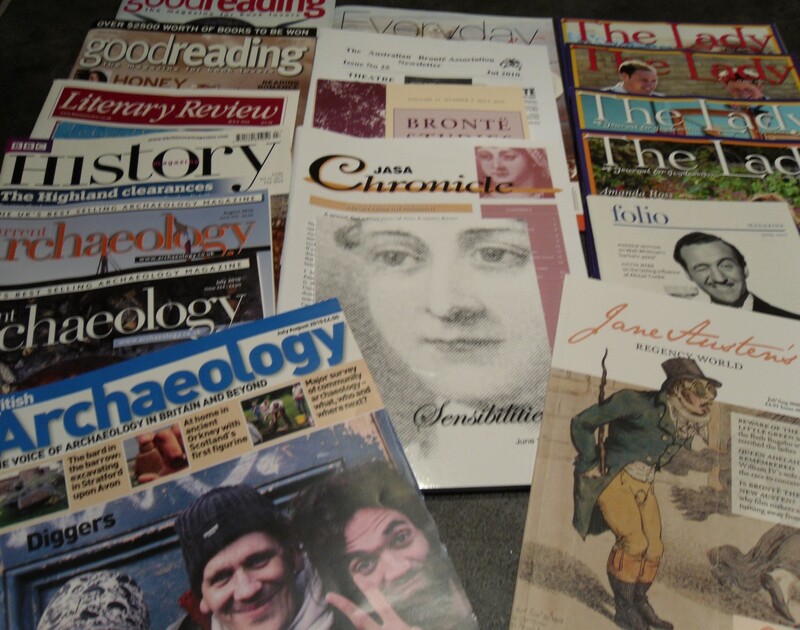 JASA Chronicle & Sensibilities - Publications of the Jane Austen Society of Australia. Jane is another one of my passions & I joined JASA 12 years ago. The Lady - I took up an offer for a 3 month sub to The Lady recently. Why, you may ask? It sounded like a good idea at the time. Why did I ever think I could cope with a weekly magazine as well as all these others? Well, of course, I couldn't. I enjoyed the articles & the book reviews but found it a bit posh for the likes of me. Just as well really. I could never have kept up. Folio magazine - This came as a freebie when I renewed my Folio Society membership. Jane Austen's Regency World - Combines my love of history & the divine Jane. Also often has articles on other writers of the period & book reviews. 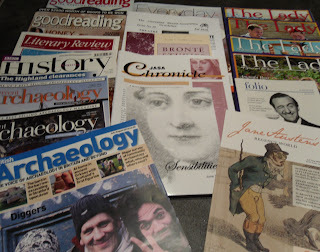 I am up to date with the Ricardian (journal of the Richard III Society), the Dickensian (ditto of the Dickens Fellowship although I'm not a member of the Fellowship, I just subscribe to the journal), the Persephone Biannually & Slightly Foxed. As these are only published 2, 3 or 4 times a year, it would be scandalous if I couldn't keep up with these. I think I need a plan. Maybe one magazine or journal between books, like a sorbet course? It might be the only way I keep on top of the tottering pile on the coffee table. I started reading Henrietta Sees it Through & I’ve almost finished reading The Bride of Lammermoor but they’ve both been overtaken by my umpteenth re-reading of Wuthering Heights. For me, a good adaptation of a classic novel sends me straight back to the book. 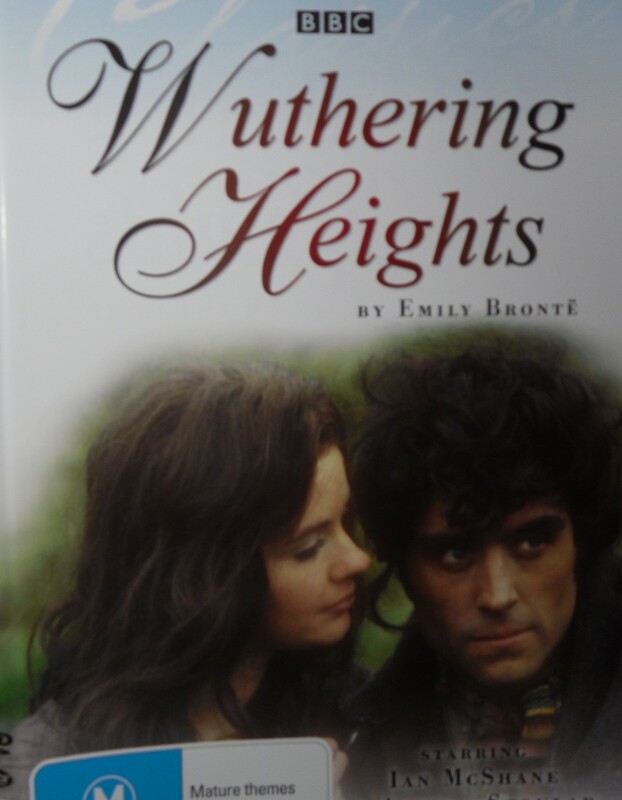 The 1967 BBC adaptation of Wuthering Heights has just been released on DVD here & I bought copies for my library. I watched it last weekend & I loved it. I was too young to have seen this the first time around & I haven’t been wholly satisfied by any of the other adaptations of Wuthering Heights I’ve seen, whether for TV or the movies. I have a soft spot for the 1939 movie with Laurence Olivier & Merle Oberon but mostly for Geraldine Fitzgerald’s performance as Isabella & the gorgeous music by Alfred Newman. I’ve also enjoyed the 1970s BBC version with Ken Hutchison & Kay Adshead, mostly because of John Duttine’s Hindley. This is an adaptation of the whole novel, not just the first half, & it’s a very moody adaptation with good performances. There’s another adaptation from the 1990s with Robert Cavanah & Orla Brady which is also excellent. I couldn’t get through the first episode of the most recent TV adaptation & the less said about the movie with Ralph Fiennes & Juliette Binoche, the better! 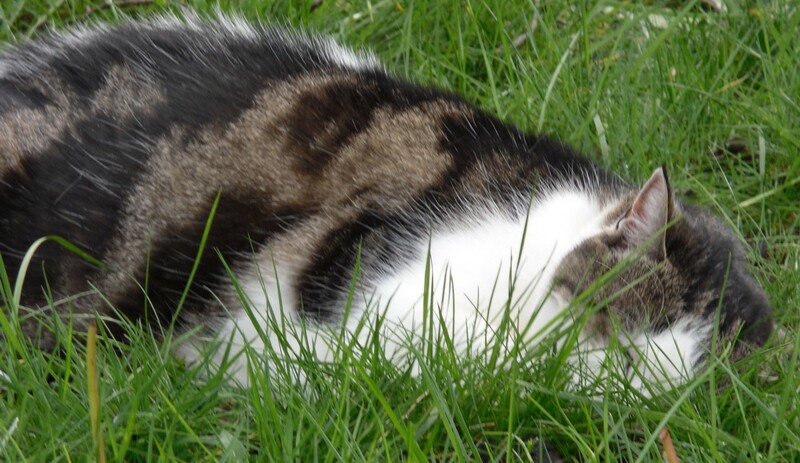 Ralph was a very good Heathcliff but poor Juliette was completely miscast. Wuthering Heights seems to be much harder to adapt than other classic novels & I can understand why. The structure of the story is confusing with Lockwood’s visit to Wuthering Heights at the beginning of the novel coming at the end of the story. Two heroines called Catherine, neither of them wholly sympathetic characters & a “hero” whose behaviour ranges from cruel to sadistic, from homicidal to suicidal, is hard enough to read about let alone portray dramatically. The 1967 version stars a very young Ian McShane & Angela Scoular playing both Cathys. I thought this was an excellent adaptation. Most of the dialogue was straight from the book. The story was presented chronologically, with Lockwood’s visit to the heights coming in the final episode rather than at the beginning. Ian McShane was fantastic. I remember him as Benjamin Disraeli in a 1970s TV series & as Lovejoy in the 80s. He looks sullen, moody & dirty as a young man & very sardonic & handsome when he returns after his mysterious absence. Angela Scoular was also very good, although sometimes a bit hysterical as the elder Cathy. Apart from Anne Stallybrass as Nelly, I didn’t know the rest of the cast but they were all effective. It’s shot in black & white but I think Wuthering Heights needs to be in black & white. It’s a dark, Gothic story. There was no music but the wuthering of the wind was quite haunting. I’ve read somewhere that this was the adaptation that inspired Kate Bush’s beautiful song. Pure, bracing ventilation they must have up there, at all times, indeed: one may guess the power of the north wind, blowing over the edge, by the excessive slant of a few, stunted firs at the end of the house; and by a range of gaunt thorns all stretching their limbs one way, as if craving alms of the sun. I was only going to say that heaven did not seem to be my home; & I broke my heart with weeping to come back to earth; & the angels were so angry that they flung me out, into the middle of the heath on the top of Wuthering Heights; where I woke sobbing for joy. There was no moon, & every thing beneath lay in misty darkness; not a light gleamed from any house, far or near; all had been extinguished long ago; & those at Wuthering Heights were never visible... still she asserted she caught their shining. “Look!” she cried eagerly, “that’s my room, with the candle in it & the trees swaying before it...Joseph sits up late, doesn’t he? 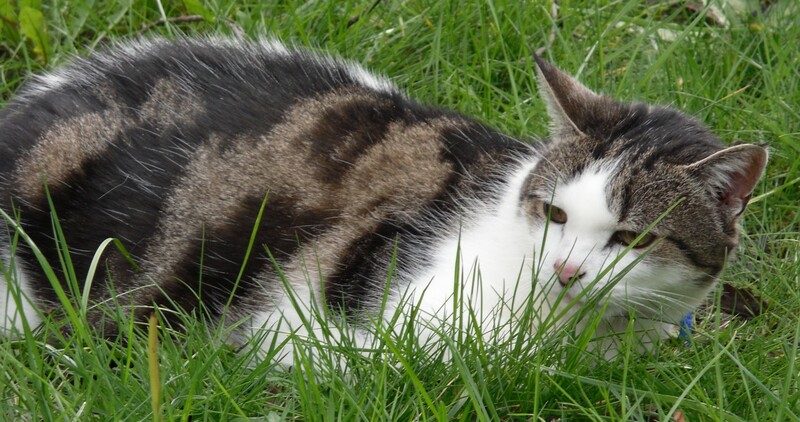 He’s waiting till I come home that he may lock the gate...Well, he’ll wait a while yet. It’s a rough journey, & a sad heart to travel it; & we must pass by Gimmerton Kirk, to go that journey! It always surprises me that Wuthering Heights is seen as a romantic novel & Heathcliff as a romantic hero. There’s so much violence in the novel, most of it performed by Heathcliff in his quest for revenge. Beating Hindley almost to death, setting traps over lapwing’s nests to starve the chicks, hanging Isabella’s little dog as they elope, his sadistic behaviour to Isabella after their marriage & his treatment of their son, Linton, when he goes to live at Wuthering Heights. He’s not a sympathetic character after his earliest days but he’s certainly compelling. Nelly, nurse & housekeeper at the Heights & the Grange, tells most of the story & it’s her voice & the matter of fact way she tells of these strange people & their thwarted lives that’s so fascinating. The story is told in Nelly’s mix of superstition, folk tale, speculation & plain common sense & she’s not above interfering in her employer’s business if she feels it’s warranted. This won’t be the last time I read Wuthering Heights & every time I read this wonderful book, I read my favourite passages again & marvel at Emily Bronte’s genius. Maybe it was just as well that her sister, Charlotte, destroyed the manuscript of her second novel (if she did. There’s no evidence but I think it’s likely). Wuthering Heights is unique. 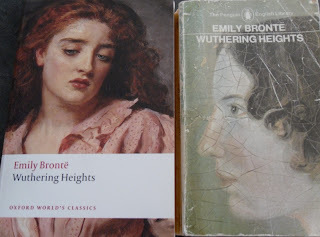 A copy of Wuthering Heights is available from Anglophile Books. Who wrote Shakespeare? This is the subtitle of James Shapiro’s new book, Contested Will. I find this question fascinating. I find it fascinating that it’s even a question. Why do some people dispute that William Shakespeare of Stratford wrote the plays & poems attributed to him? James Shapiro examines the question from the mid eighteenth century until the present day before giving the reader his own opinion, in an elegantly-written & persuasively argued final chapter. It wasn’t until the 18th century that Bardolatry really got started. Shakespeare’s plays were just part of the theatrical repertoire along with plays by Jonson, Fletcher, Middleton & the Restoration playwrights. Pepys famously didn’t think much of Twelfth Night, calling it “a silly play”. It was David Garrick who began the process of turning Shakespeare into a god by holding the first Stratford Jubilee complete with Shakespeare relics such as carvings from the mulberry tree reputedly planted by Shakespeare, a leather glove & a signet ring with WS engraved on it. The Jubilee was rained out & Garrick admitted it was a mistake but his reverence for the Bard & his definitive performance of some of the great roles were responsible for an increase in attention & interest in Shakespeare. Then, the forgeries began to appear. Most famously William Henry Ireland produced letters, memoirs & a whole new play, Vortigern, before the penny dropped. In the 19th century people began to ask, who wrote the plays if the man from Stratford didn’t? Books had been written asserting that Homer never existed & that Jesus was just a man, a historical figure, but not the son of God. Debunking myths was in the air. Shapiro concentrates on the two main contenders, Francis Bacon & Edward de Vere, the Earl of Oxford. Bacon’s cause was taken up by his namesake, Delia Bacon, an American who made it her life’s work to prove that only a sophisticated man, a courtier, a lawyer who had travelled throughout Europe, could possibly have the breadth of experience to have written the plays. She attracted some famous converts, including Mark Twain & Helen Keller. The Baconians held sway for until the early 20th century but, as Francis Bacon’s reputation among the public waned, a new candidate emerged, the Earl of Oxford. Like Bacon, Oxford was a courtier & diplomat. He was a poet & had written for the stage. His supporters found all kinds of hints & ciphers in the plays to prove that only he could have written them. Some of these ciphers & theories were tortuous & far-fetched but great thinkers such as Freud were convinced by the evidence. The bible of the Oxfordians was a book written by J T Looney, ‘Shakespeare’ identified. His thesis was that a man like Shakespeare of Stratford, who we only know through a few documents, mainly concerned with malting & money lending, couldn’t possibly have possessed the mind & genius to produce the plays. The lack of documentary evidence for Shakespeare’s life is the crux of the argument for most anti-Stratfordians, as they’re known. The Oxfordians gradually subsided as no new evidence appeared to support their theory. Then, in the 1980s, with the rise of conspiracy theories about every event from the Vietnam War to the assassination of JFK, the Oxford theory attracted more support. Charlton Ogburn’s massive book, The Mysterious William Shakespeare, fed into this new appetite for conspiracy & reinvigorated the movement. Today, famous actors like Derek Jacobi & Mark Rylance openly doubt the authorship of the plays. Another group believe that Christopher Marlowe didn’t die in a tavern in Deptford but was spirited away by the Government to produce the plays known as Shakespeare’s. The Marlovians were even successful in getting a memorial window to Marlowe in Westminster Abbey inscribed with the dates 1654-?1593. As if there was a reasonable doubt as to the date of his death. All this madness is resolved by Shapiro’s final chapter. He sets out just how much is known about Shakespeare’s practice as a writer, actor & shareholder in the theatres where the plays were produced. He quotes from the editions published in Shakespeare’s lifetime, from the works of other writers who mention Shakespeare, from the tributes paid to him after his death by admirers & fellow writers like Ben Jonson. Shapiro points out the differences of life in Elizabethan England to life in the modern world. The reduced life expectancy, the basic standards of hygiene, the lack of privacy, the different expectations of family relationships. He looks at the language of the plays & shows how it changes as the theatrical environment changed. Shakespeare is seen almost exclusively as an Elizabethan writer but half his career was spent in the London of James I. Reading this final chapter is like drinking a cool draught of water after drinking too much mulled wine the night before. Shapiro is passionate about his thesis & passionate about why it matters that we should believe that Shakespeare wrote Shakespeare. Here’s my latest selection from the tbr shelves. I also have some lovely new books from the library by favourite authors & they’ll probably squeeze their way into this pile at some stage. I have new books by Katie Fforde, Marcia Willett & Robert Barnard, all favourite authors for a rainy Sunday afternoon’s reading. Apart from that, these are the books I think I’ll be reading over the next few weeks. 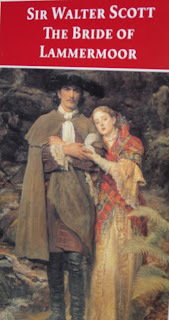 The Bride of Lammermoor – Sir Walter Scott. This is the latest book for my 19th century bookgroup where we’re coming to the end of our selections of books that were the basis for operas or musicals. The Bride was famously the basis for Donizetti’s Lucia di Lammermoor. I’m about to start the third weekly instalment & I’m enjoying it very much. I read it many years ago when I read quite a lot of Scott’s novels but it’s been a long time & I’ve forgotten most of the plot completely. It’s said to have been one of the influences on Emily Bronte when she wrote Wuthering Heights. Wuthering Heights is one of my favourite books so I’m eager to see if I can detect any influence. Miss or Mrs? – Wilkie Collins. This is a volume of 3 novellas by Collins, one of my favourite 19th century writers. I’ve read a few of his short stories in anthologies & as part of the Hesperus Press reprints of the Christmas editions of Dickens’s Household Words, but these stories are new to me. Madame de Pompadour – Nancy Mitford. 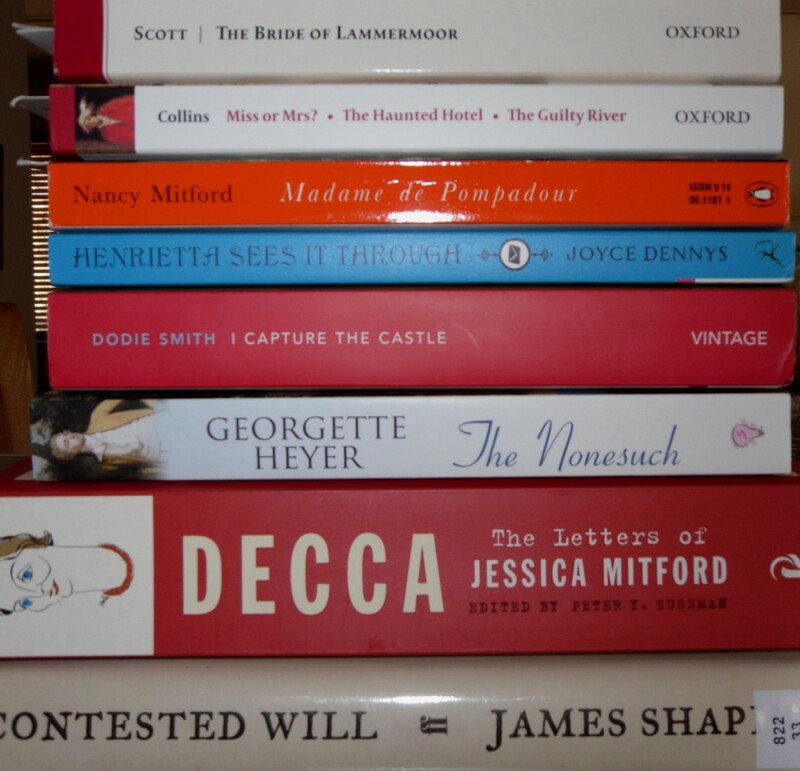 Continuing the Mitford reading I’ve been doing this year while I wait for my copy of the Capuchin reprint of Highland Fling to arrive & work myself up to reading Wigs on the Green. I was a bit put off by some of the reviews so I need to wait a while before I tackle that one. Henrietta sees it through – Joyce Dennys. 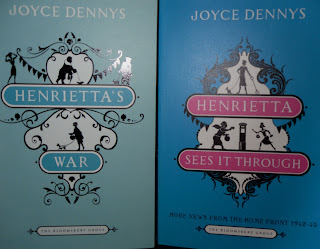 I loved Henrietta’s War when I read it last year thanks to the Bloomsbury reprint so I can’t wait to read the sequel. 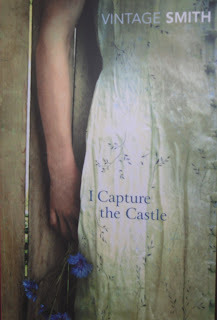 I capture the castle – Dodie Smith. Another book I’m ashamed to say I’ve never read & as it’s Cornflower’s choice for her Bookclub next month, this is the perfect excuse to get it out. Flicking through it last night I came across a reference to a meal with “consoling sausages”. What a wonderful expression! I just hope I’m not too old for this book which seems to be one that readers discover & love in their teens. The Nonesuch – Georgette Heyer. I only discovered Heyer a couple of years ago & I’ve enjoyed the books I’ve read so far very much. I was inspired to get this one down from the shelf because Austenprose are celebrating Heyer in August. I’m especially interested in Heyer’s books that feature older heroines as I think I’m a bit old to put up with some of her flighty young Misses. I’ve read A Civil Contract, Lady of Quality & Black Sheep & I have Frederica & An Infamous Army on the tbr shelves so any recommendations from Heyer fans would be welcomed. 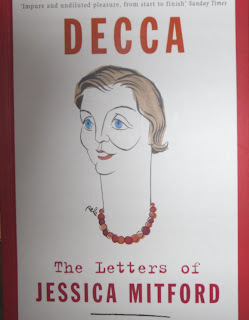 Decca : the letters of Jessica Mitford. More Mitfordiana. I haven’t read any letters for a long time & I love them so I thought it was Jessica’s turn. Contested Will – James Shapiro. This is my current book & I hope to finish it this afternoon. It’s about the Shakespeare authorship controversy which I find endlessly fascinating. Shapiro wrote 1599, one of the best books on Shakespeare I’ve read & this is excellent.